I am calling on the Minister for Health, Simon Harris, to examine the viability of providing the meningitis B vaccine given the influx of cases in Ireland and the death of three people. The rise in the number of cases is a huge concern for many families across Kildare and the Country. 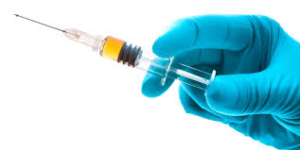 Children born on or after October 1st 2016 are included in the free vaccine however, children living in the same home that were not covered for the free vaccine require the vaccine to ensure they are immunized. The cost on families can be too much for families and some may not have the money to give out for the vaccine. It shouldn’t be a case that a child’s health could be left in jeopardy as a result of the high cost of the vaccine. The Government must consider adding the vaccine for free of charge to ensure public safety and the safety of Ireland’s Children. There are thousands of families across Kildare and the country that could be affected by these costs and the Minister must not ignore these calls. We provide a wide range of health and personal social services to Kildare and West Wicklow. The Kildare and West Wicklow Local Health Office is based at St. Mary’s , Craddockstown Road, Naas. Contact 045920000 for more information or follow the link: https://www.hse.ie/eng/services/list/1/lho/kildare-west-wicklow/.